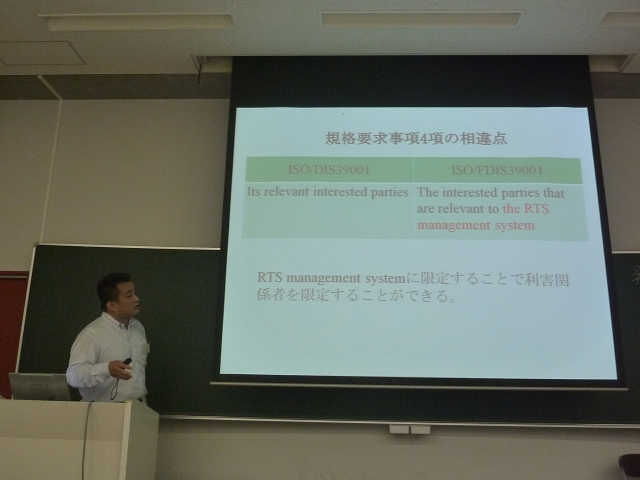 Daitaro Goto, Management System Research Institute Ltd.
and Masayuki Yamamoto, Aoi Consultant Co Ltd. 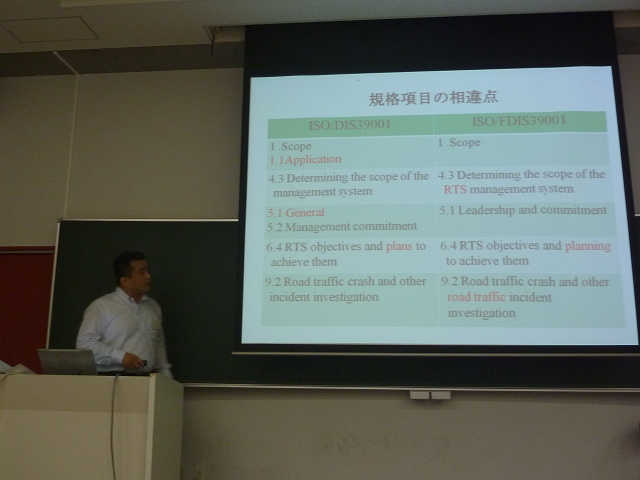 It is possible to peel off, and the discussion is done to the enactment of ISO39001 (addressing road traffic safety [RTS] management systems) with ISO/TC241 on December 19, 2012. 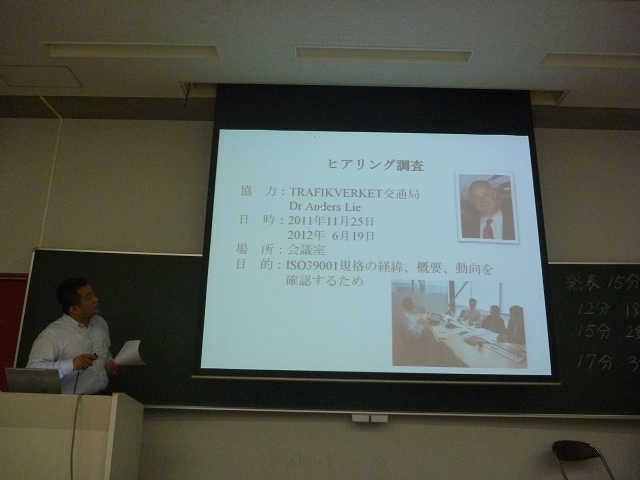 The prototype of ISO39001 is Vision Zero of Sweden. ISO39001 is a standard by which it works aiming at the traffic accident reduction, and it has aimed at a decrease in the accident number. 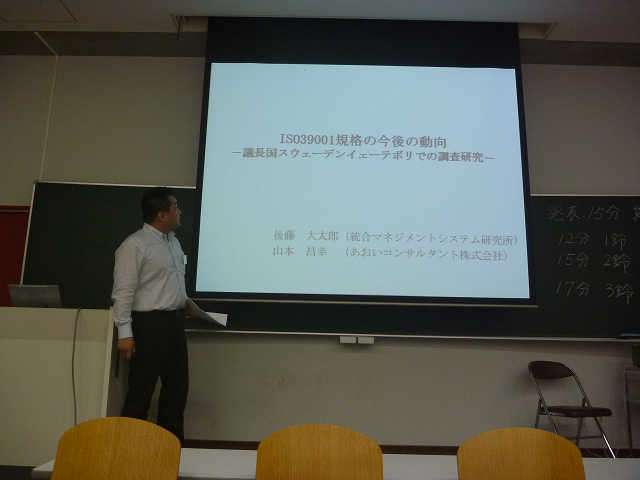 The change point of ISO/FDIS39001 issued on June 1, 2012 ISO/DIS39001 and issued on June 12, 2011 is clarified in this text, the trend of the standard in the future is clarified based on the hearing investigation executed in Sweden that is the ISO39001 presidency on November 25, 2011 and June 19, 2012, and what the item of the standard intends clarifies something. 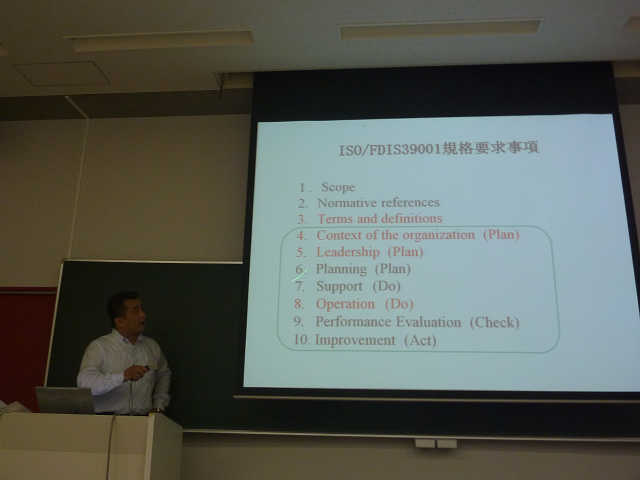 I would like how the "Manners declaration: Yamamoto model" (addressing Manasen) proposed in order to employ a road traffic management system effectively will have relation with ISO39001 from now on, and to make reference. Copyright© 2011 ■ ISO39001（道路交通安全マネジメントシステム）専門サイト■ All Rights Reserved.